In a small bowl, mix together vinegar, mayo, tahini, wasabi and sugar until smooth. Dressing will be on the thin side. 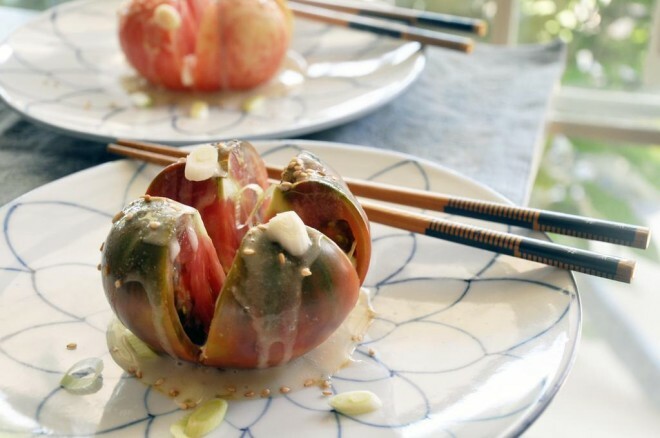 Lay tomatoes on plate and drizzle dressing over top. Sprinkle with sesame seeds and sliced scallion. Serve cold or at room temperature.